Happy Navratri ! this festival goes on for nine nights and ten days, 'Nav' meaning nine and ' ratri ' meaning night, nine forms of Devi/Shakti are worshipped and the tenth day is celebrated as Vijayadashami or Dusshara. Though we don't celebrate Navaratri or keep Golu ( toy exhibit ) at my place, I had always enjoyed going to Golu and of course eating the different types of sundals and other foods that are made on those days. Here are some sundals, payasams and pongals that we can make on those days, the dishes are onion and garlic free..
Leave out the onion in the medu vada recipe and make it. Happy navaratri wishes Hema, beautiful collections of recipes. 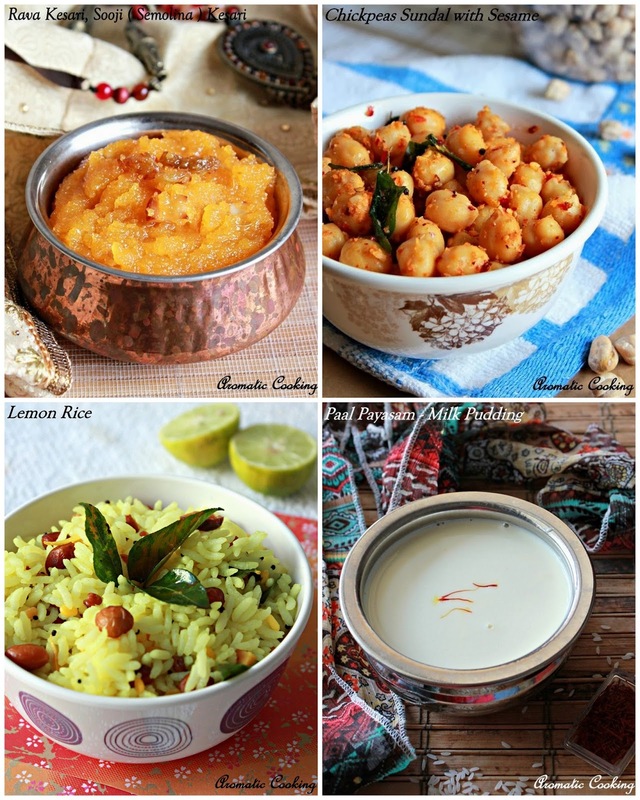 wow...Awesome collection of yummy recipes...Happy Navaratri Wishes to You!! yummy collection. Happy navratri to you dear.